34 days till Halloween for my youngest to change his mind on what his costume will be 34 times. LOL! Adorable card!!!! 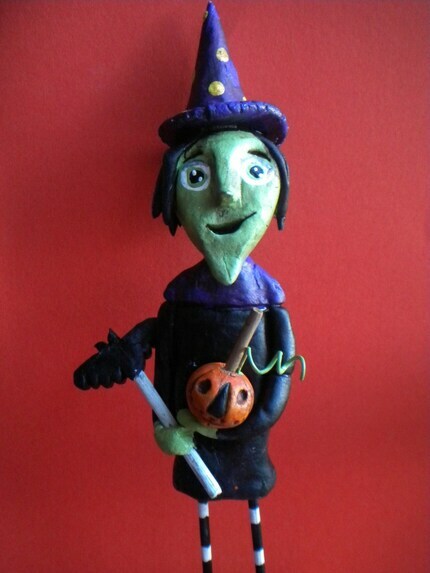 So ready to start decorating for Halloween and make a few more Halloween crafts! 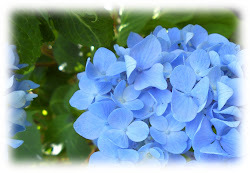 Colleen, seeing new posts from your blog on my dashboard ALWAYS makes me smile!! 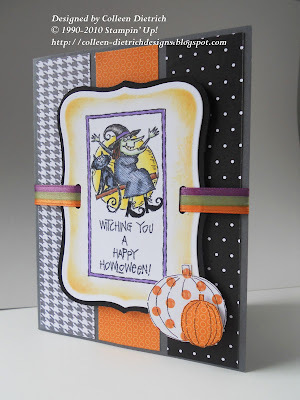 What an adorable Halloween card :) Cute witchy and great DP choices. 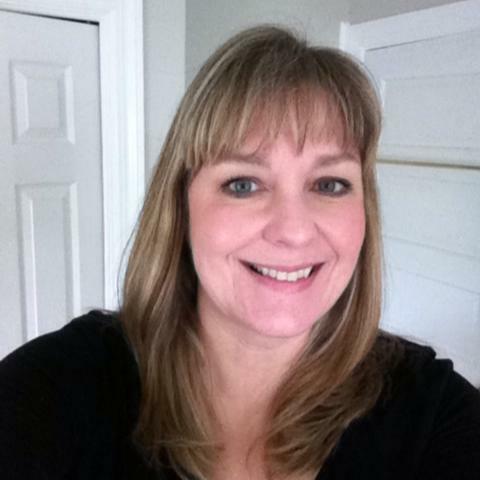 I LOVE how you did your ribbon (and I noticed that it is from Target's Dollar Spot--gotta love that! ), too!! You picked two great challenges--I'm planning to tackle both of those this week as well. Good luck!!! I love this delightful Halloween card!! 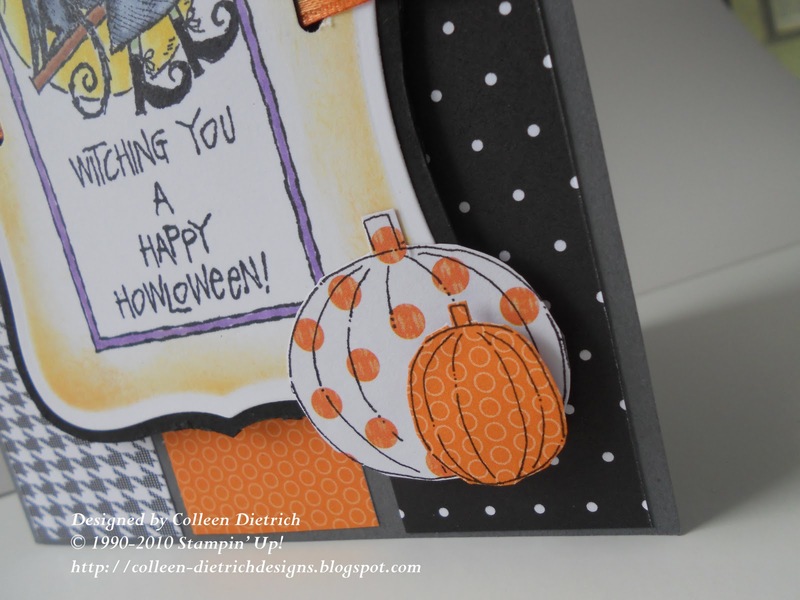 Thanks, Colleen, for creating this delightful card to toss into Speedy the Cat's pumpkin patch for this week's challenge!! Wonderful card - great mixture of papers! Thanks for playing with Speedy's Friends! Thanks for the link to the tight mat tutorial ... great inspired card. This is super cute! I love that image and the sentiment! And thanks for the nesties tips... I need to check out that tut! What a fun card! The witch image fits your inspiration piece sooo wonderfully! Thanks for playing EIC this week! Love this card, specially your dp pumpkins! Oh that nest tip was a cool one! I like the tighter fit as well. This is really cute with the three panels. Glad you got some down time to create! Love your witchy card. I'm heading over to watch the tutorial. I love Becca's awesome work. My sister took a class from her and loved her. What a great person and full of soooo much information. Your card is great! !